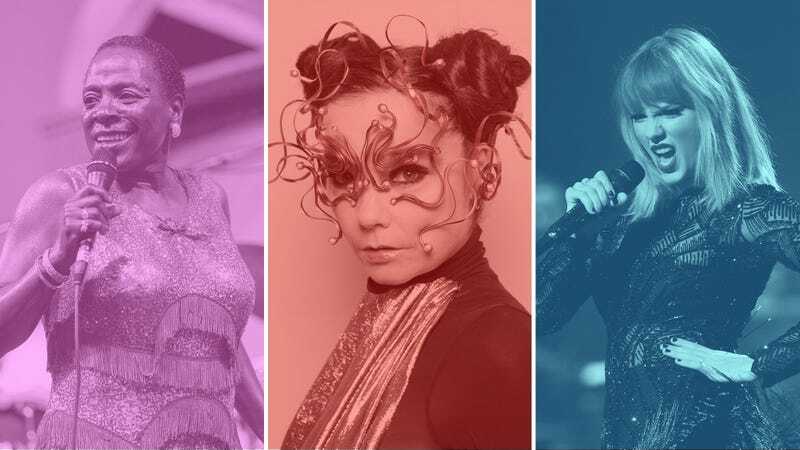 Sharon Jones (Photo: Josh Brasted/WireImage/Getty Images), Björk (Photo: Santiago Felipe/Getty Images), and Taylor Swift (Photo: Kevin Winter/Getty Images for DirecTV). Graphic: Libby McGuire. As 2017 winds to a close, after a year that’s seen the release of thousands of albums—an unusually large number of which are quite good!—it seems almost unthinkable that November would still have more to give. But with new records from the likes of Björk, Angel Olsen, Shamir, Sharon Jones, and more still in the offing, November is just as packed with end-of-year contenders as any. Here are the 16 that we’re looking forward to the most.